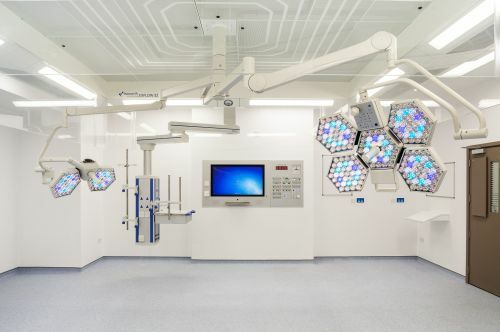 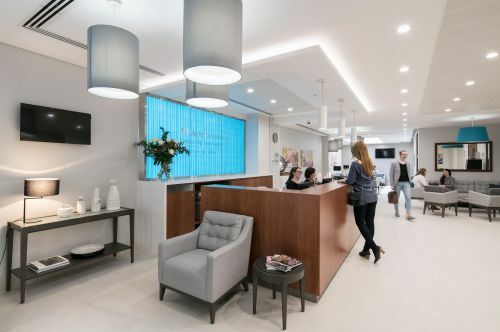 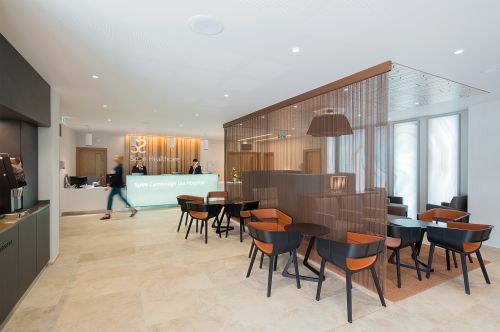 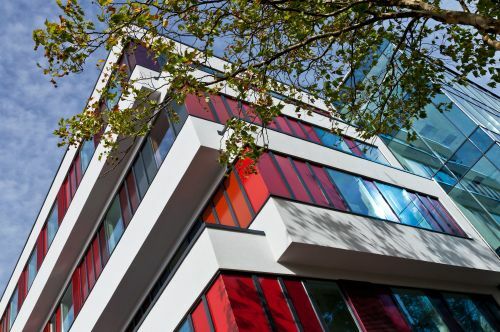 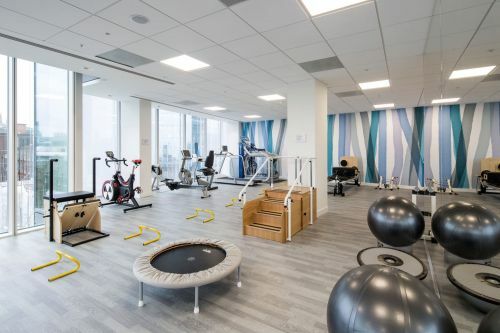 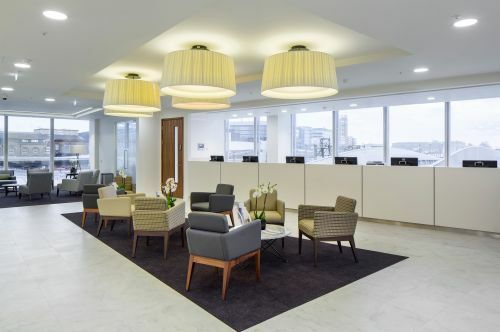 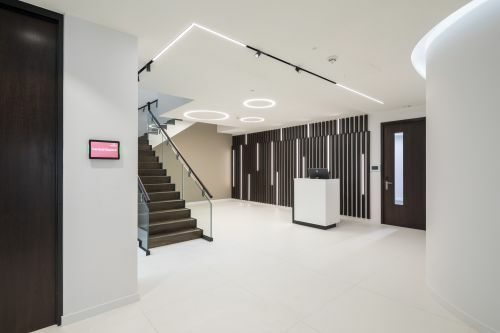 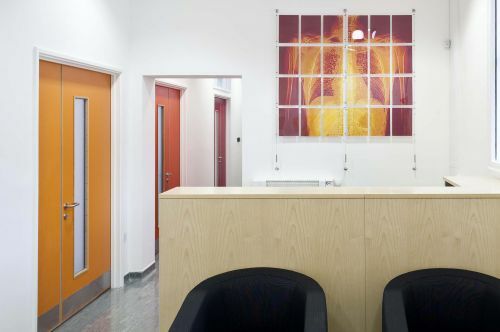 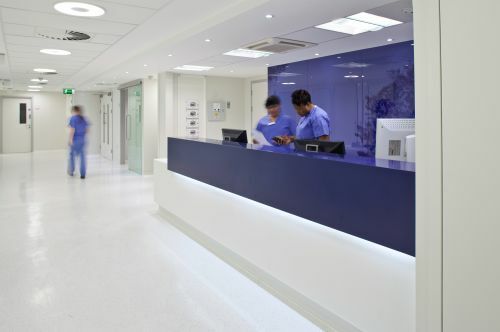 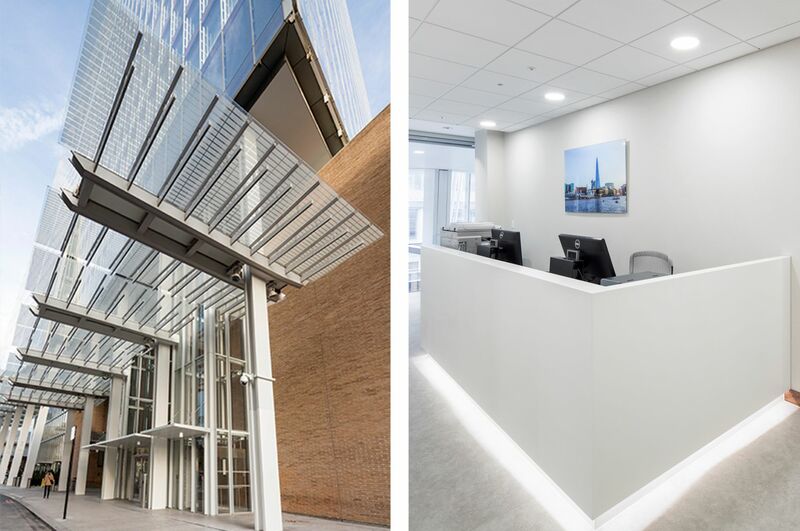 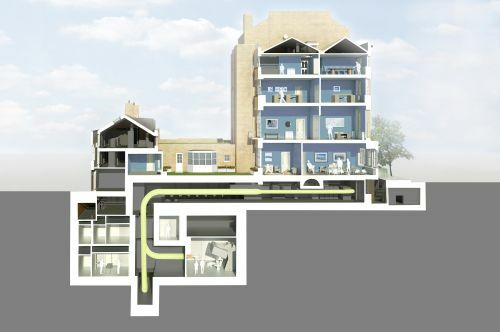 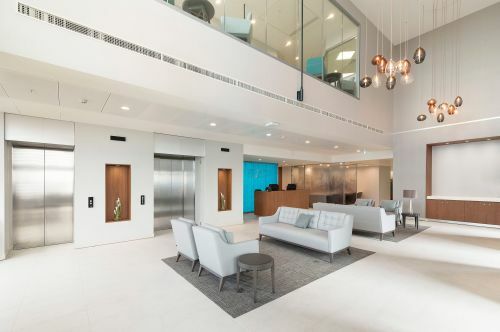 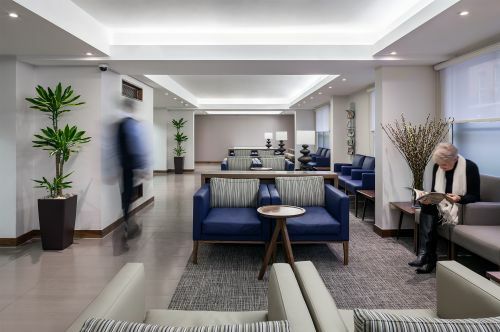 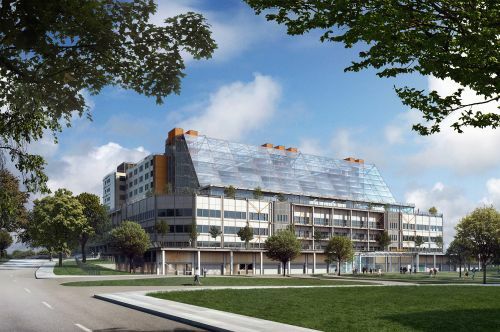 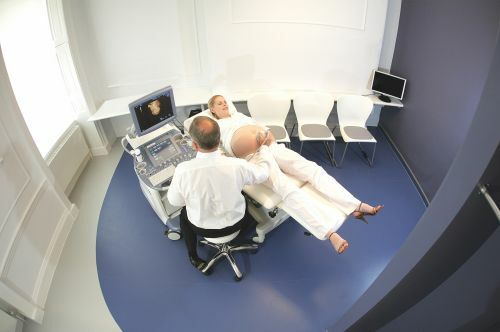 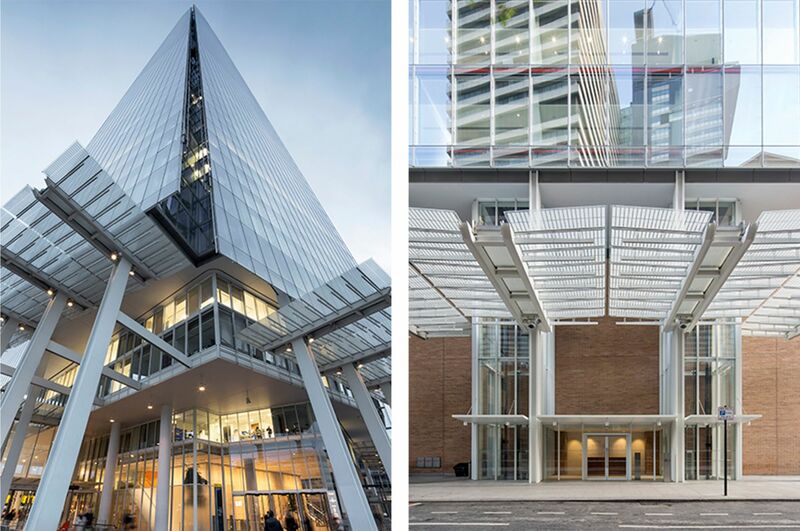 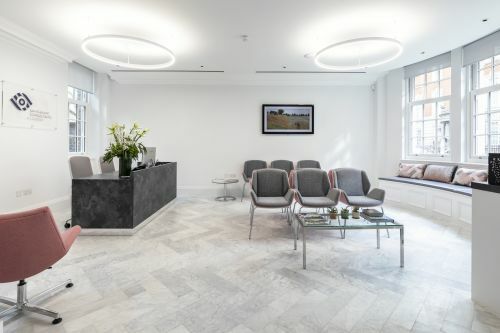 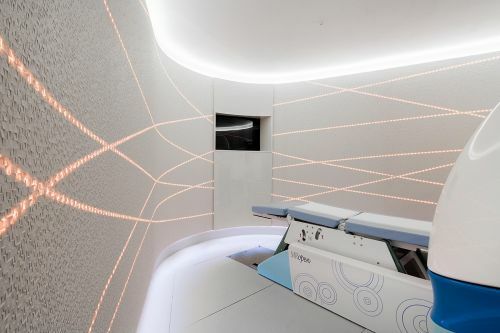 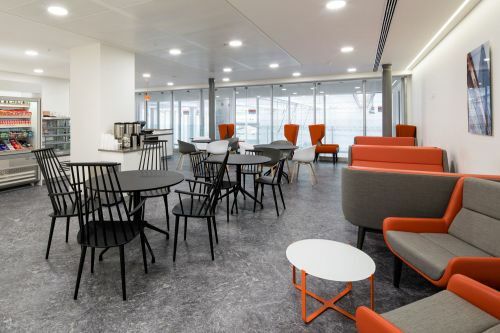 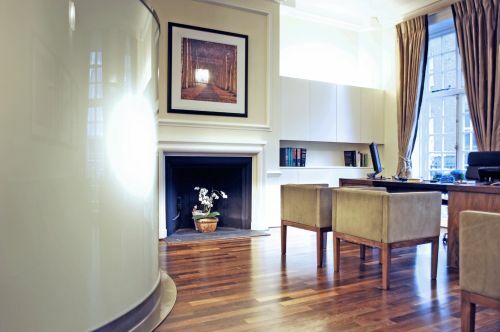 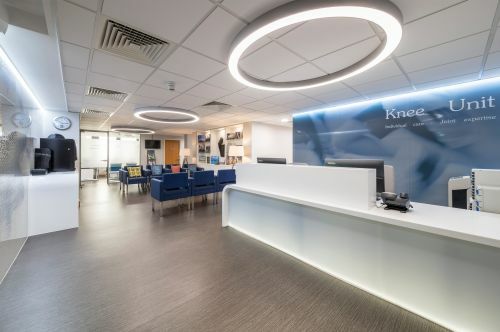 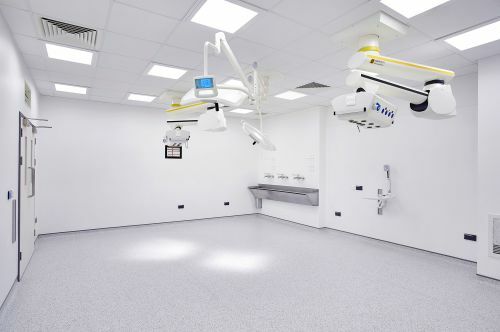 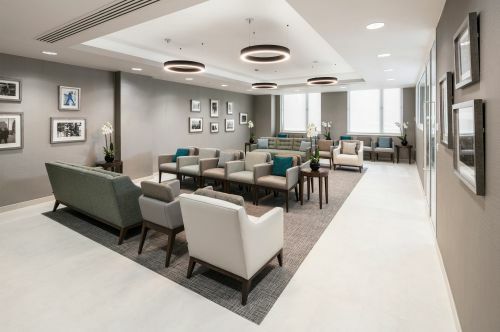 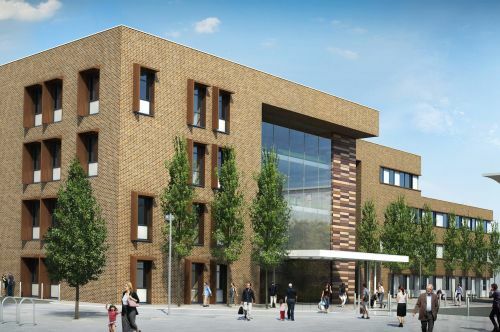 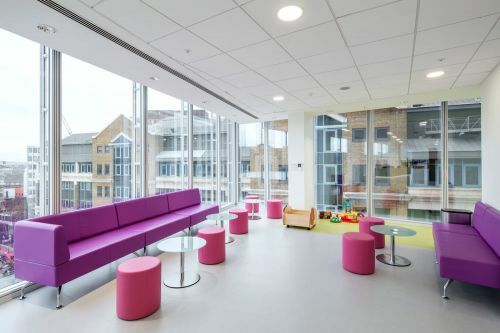 Set within the world renowned Shard, Sonnemann Toon delivered the design for the fit-out of a private outpatients and diagnostics facility within the fourth to sixth floors; including MRI, CT, Fluoroscopy, Mammography, Ultrasound & X-Ray, Consulting Suites, Physiotherapy, MDT and café spaces. 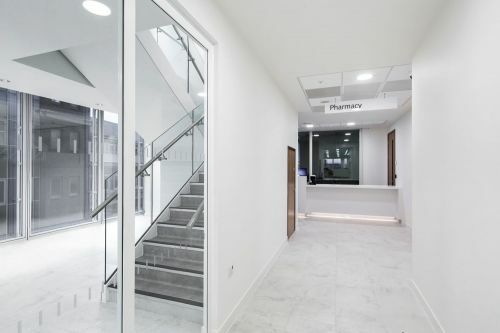 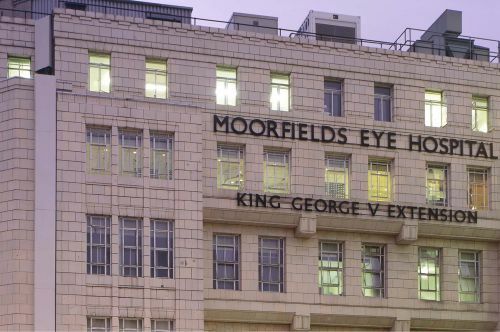 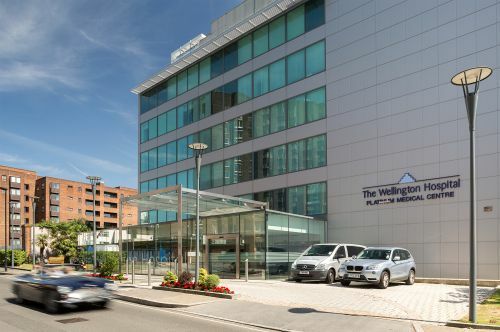 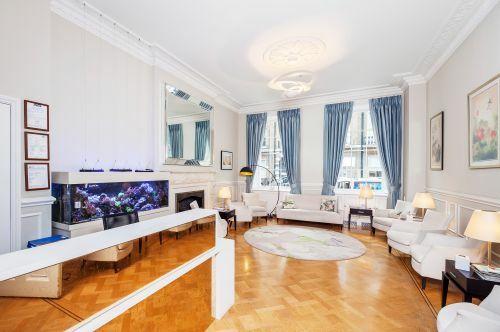 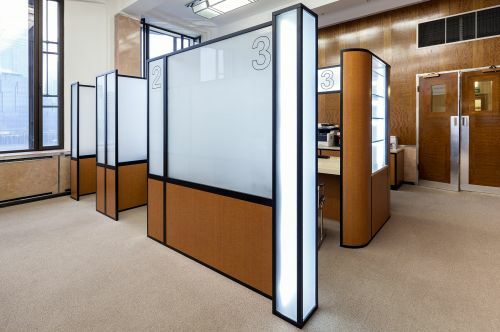 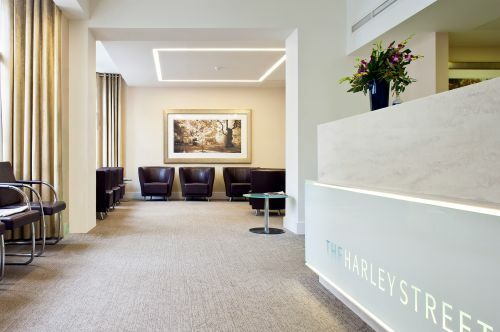 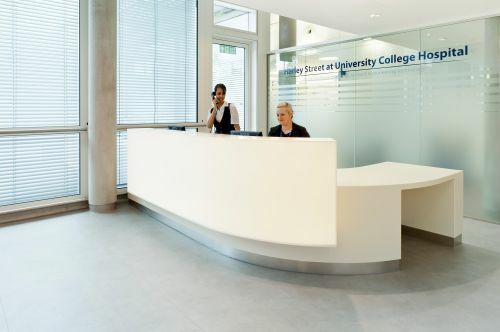 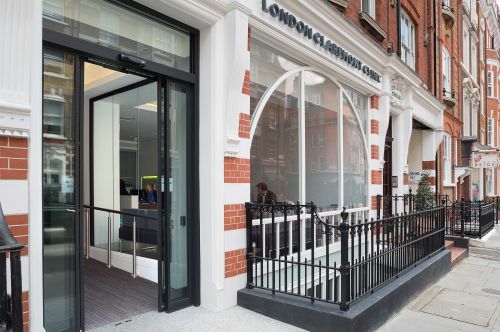 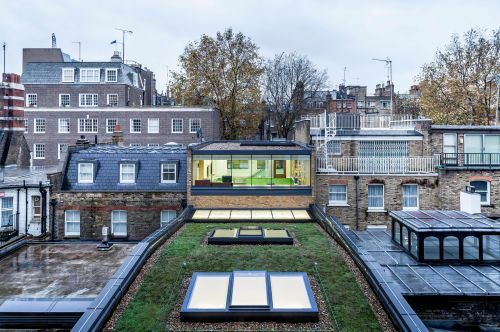 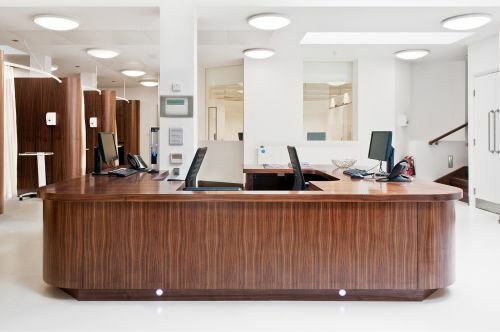 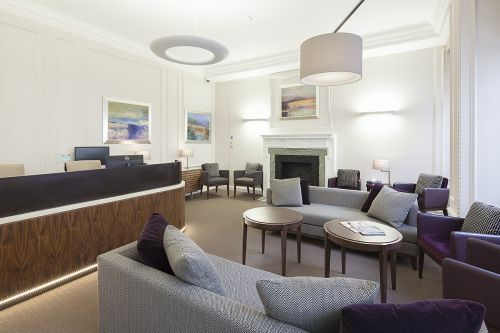 The private outpatients facility benefits from having its own independent entrance on St Thomas’s Street, which takes patients and visitors directly up to the fourth floor greet / registration area. 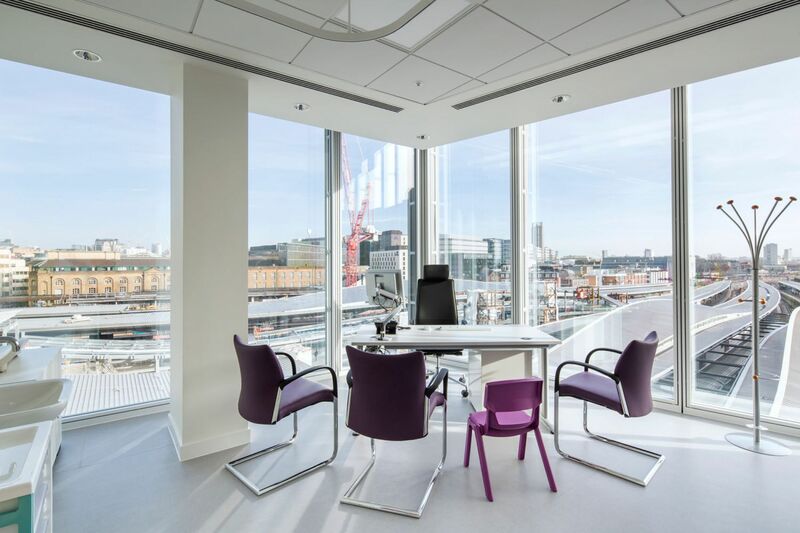 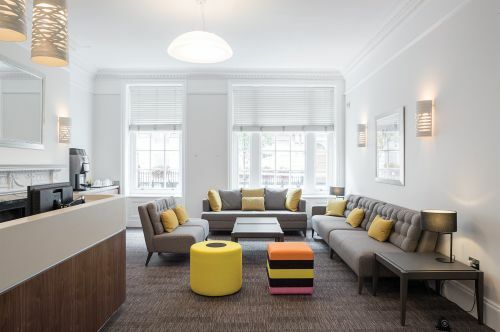 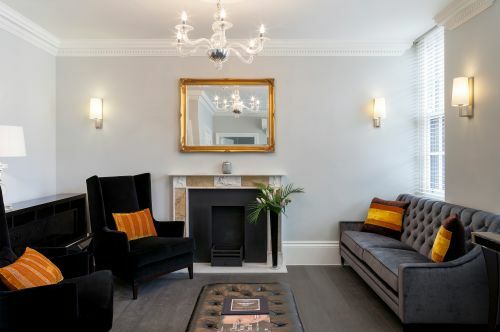 The 78 consulting rooms enjoy stunning views of London’s skyline and the café seating area has views of London Bridge station’s concourse. 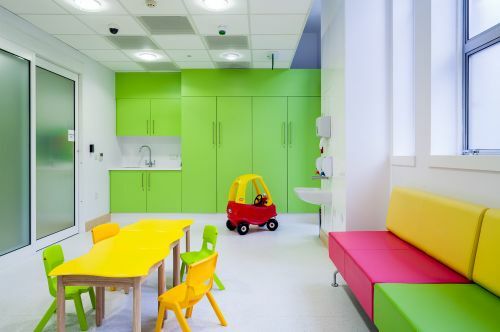 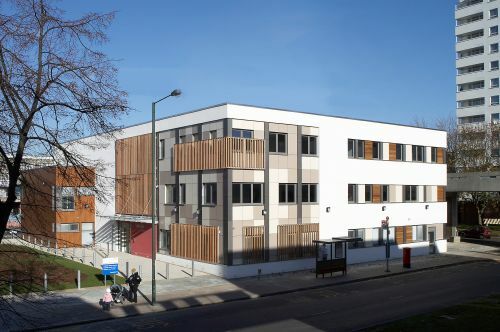 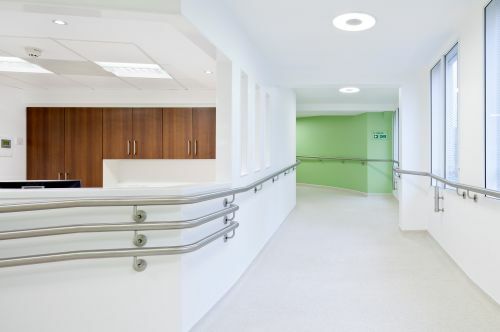 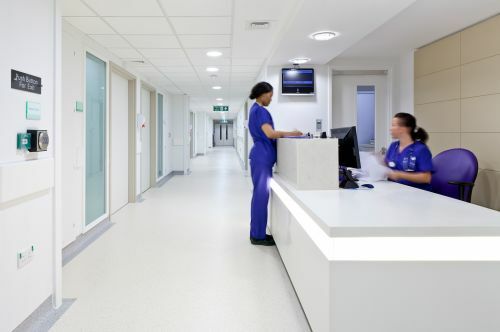 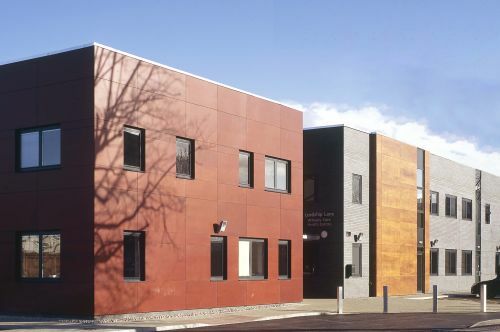 The schemes intent was to provide a modern high quality finish of materials and fittings to welcome patients and visitors.